You’re here because you want to make a shift. I sense that there is a new Me emerging. I want to know what that is. You are in the right place if any of these apply to you and want to shift that. It is also for you if you want to …. My VIP program will provide you with a logical way to navigate the nutrition and lifestyle jungle. I follow a down to earth approach and teach you how to tap into the wisdom of your own body. There is no calorie counting or vitamin hunting. There is also no complicated biochemistry to learn. Ayurveda is all about an easy to understand, logical, profound lense through which you can look at and feel into your life. If you’re serious about taking your health to the next level, let’s chat one-on-one.We will talk about your goals and desires for the evolution of your body and your health. Together we discuss if VIP Coaching is for you. We can meet in person, on the phone or via Skype. The VIP program will be designed individually for your needs. It includes….. Together we will decide the best approach to move into a better body. The key word is ‘together”. This is not a top down approach where I dictate what you need to do or take; but a collaborative approach to your wellbeing. You have the freedom and responsiblity to choose what works for you. I will give suggestions and education, you decide whether a therapy resonates and you want to adopt it. If approach A doesn’t work, we will devise plan B. The willingness and ability to invest in yourself where it really matters – your health. Working with Alexandra has been an exciting and educating new experience in my health journey. 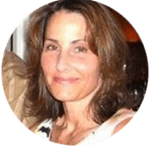 She is a fantastic listener and observer that has integrated her health wisdom to guide you to new and deeper levels of exploration of self. Her support has been of great value in my life. In the last year, thanks to Alexandra's guidance, I was able to reduce my thyroid medication by half (the lowest ever dosage in 20 years!). All by practicing the right set of asanas that Alex suggested! (this is huuuuge for me). She also helped me break free of my addiction to matte tea. I've been caffeine free for over a year and feel a steady amount of energy throughout the day. I have learned how to organize my day according to the best times to study, do creative and inspirational activities. I enjoyed amazing massages and even learned some chanting! But the best of working with Alexandra is that she really listens to you, she cares about you and looks for a way to help you live your life to the fullest expression. 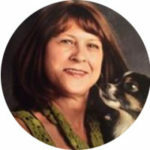 I have suffered from chronic pain caused by Fibromyalgia, depression & anxiety for more than 30 years. Before coming to see Alexandra I had found it increasingly difficult to manage daily living. Exhaustion, pain and anxiety had a tight hold on me and enjoying life was difficult. Through discussions, articles, resources, and learning meditation with Alexandra I was able to see that adopting a higher regard for my health and wellness would only contribute to my happiness and well-being. Even though I still live with these disorders, I have found lower pain levels, peace of mind, and an uplifting feeling and attitude towards life that I haven’t felt in years! Before I met Alexandra, I was anxious and unsure about the changes I was experiencing with menopause and the aging process. I was looking for ways to handle my new reality without having to resort to hormones or prescription medications. Through our work together I learned that I already had quite a few good habits in place, I just needed to build on those and learn how to bring more balance into my life. As a result of working with Alexandra, I can now handle this next phase of my life with less stress, more balance and greater confidence in myself….and all that without the use of hormones or medication. My husband even remarked at how much more calm I have become. Working with Alexandra has helped me in so many ways. It was truly a life changing experience that I wholeheartedly recommend, no matter what stage of life you are in. I wanted to thank you very much for the massage once again. Amazing! I also wanted to thank you for your support in getting my menstrual cycle back. (I haven’t had a period in over 27 months- since coming off of the pill). I have followed the remedy you suggested daily and it has been working WONDERS. While my menstrual cycle has yet to return, my digestion alone has been so much easier. Like shifting from an out of balance vata with very irregular digestion and general constipation, to a balanced pitta. The holistic nature of the remedy, not just focusing on one issue, but helping me rebalance on many levels is much more than I hoped for: I feel so much better and I am positive I am now following a sure path to getting my cycle back very soon. Soo awesome! Big hugs and love! I didn’t know what to expect when I first signed up and what I received was way beyond my expectations. Alexandra is incredibly generous, non-judgmental and present. I learned so much! There is plenty of information, but Alexandra makes sure you are not overwhelmed. She is full of knowledge, funny and patient with all your questions, no matter how basic they may be. I am amazed at how easily I assimilated better habits and returned to those gems I had left by the way side. There was genuine support and I am a calmer, happier and more patient person for it. If you’re serious about taking your health to the next level, let’s chat one-on-one. We will talk about your goals and desires for the evolution of your body and your health. Because I am amazing!! And you will want to hang out with me!! 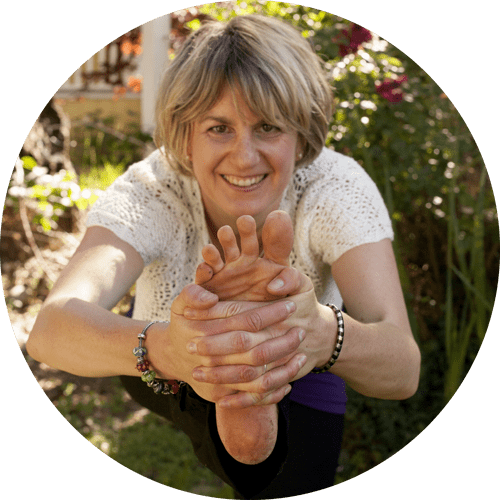 Joking aside, I have spent the past almost 15 years helping individuals uplevel their health in various capacities, as a yoga instructor, bodyworker, Ayurvedic practitioner and certified yoga health coach. I am committed to your well-being, I listen deeply and I inspire. Many folks tell me, I know I would probably feel better if I didn’t eat so late, were to exercise more or didn’t stay up so late. The question then is, if you know it why aren’t you doing it? There is a couple of reasons why you don’t do what should be done. Reason 1: You might know WHAT to do, but don’t know HOW. You always have the best intentions and then things get in the way…you forget, it’s too difficult, no time to research new recipes, too busy, too in love with your habits……those are what I call inner gremlins that sabotage you from being healthy. 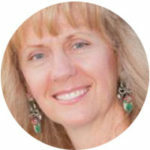 As a health coach I help you overcome those gremlins and help you achieve the aliveness and joy you dream of. Reason 2: You might be willing to look at your diet and lifestyle design and have a general idea about what might work but you don’t know exactly what works for you. You might be frustrated with the amount of information out there, the conflicting opinions and the multitude of suggestions your friends give you. It all just seems too much. As a health coach I help you figure out what exactly is right for you according to your constitution and imbalance. There is much more to vibrant health than just knowing the facts about diet and lifestyle, popping an herb or going to the gym. It is the whole context of your life that makes the difference. Being guided by someone who knows the way and understands your health challenges from a holistic perspective will get you to your goal much quicker and with more success. Besides…. it’s much more joyful together. 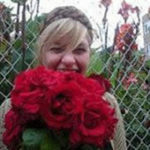 I experienced the benefits of Alexandra’s coaching and guidance over several months this spring. I’m thrilled to say that she has elevated the quality of my daily life! Decades of chronic digestion issues have been greatly improved following some of the simple principles of Ayurveda. She also helped me immensely with sleep problems that had developed over the last 10 years. This has been extremely beneficial and I am deeply grateful for this support. Alexandra was able to tune in to my individual needs along the way and adjusted her approach to customize our sessions to focus on additional areas that surfaced. 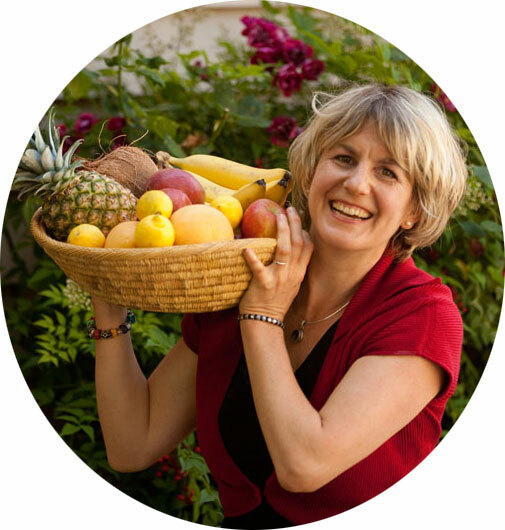 I’m very impressed by Alexandra’s knowledge, wisdom and intuition with Ayurveda and coaching. She is a master of her craft and has much to offer her clients. I have worked with many practitioners in our area and benefited by their expertise. However, Alexandra has helped me make improvements in a short time that I can see will be long lasting. I know she has much more in store for me and I look forward to working with her further. I couldn't go to bed without saying the most gigantic THANK YOU that you can imagine! What you helped me uncovered today is beyond huge! I went on a bike ride and was even thinking that that may even be a reason why I never wanted to have kids because I never saw relationships as co-creative!!! I reached out to the lady who brought all this up at work (she's also a gift!) and without being apologetic told her that I was impressed with her work and wanted to see how we could collaborate, she couldn't believe what I was saying and kept repeating 'do you guys really liked what I did? are you serious? The journey continues... I can't even imagine what how we'll be in another 5 years from now, these 4 years have been incredibly enriching and transformative !!! What happens in the Wellness Discovery Session? We will talk about where you are at healthwise, where you want to go and what action steps you need to take to get there. What I help you do is identify pain island, formulate and envision pleasure island and pinpoint which boat you have to take in order to arrive at pleasure island . If appropriate, we will also talk about if working together would be a good fit, If not, I might have other resources to point you toward. The Wellness Discovery Session is an opportunity for us to meet and get to know each other, to discover whether there is resonance or not. The healing path is a very personal one and you want to share it with someone you trust. Let’s have a chat about your dreams and goals and see if working together is a good fit.